When it comes to finding out what’s inside a concrete slab, non-destructive options are generally the first choice. The two main options are the use of x-rays or ground penetrating radar (GPR) to “see into” the concrete slab or structure. Both provide a closer look at what’s inside, including rebar, conduit, post-tension cables, and more. Here at Ground Penetrating Radar Systems, safety is our top priority in everything we do. GPRS is committed to creating and fostering a safe work environment for our team members, and teaching them how to extend that safety to all project sites and our community. Our team members are a top priority at GPRS. GPRS’s purpose is to provide development and to open new opportunities for our team, while delivering a sensational experience to our customers. In a recent internal survey, GPRS team members noted the strong sense of community as a main reason for remaining at the company. This support system is fostered through one-on-one coaching, ongoing training programs, leadership development, and much more. First and foremost, GPRS hires team members who are prepared to uphold our commitment to accuracy and craftsmanship. Our team members undergo a rigorous training process in which they receive 2+ months of hands-on training, both in the field and at our training facility. GPRS team members ascribe to a rigorous standard operating procedure for our field work. At GPRS, we push our team members to remain humble and open to learning. We don’t ask for perfection but we do ask for consistent development. Team members must be willing to learn and grow- not only for themselves, but for the GPRS family. It has been a busy and cold winter, and we have encountered a few recent challenges, which we have taken as opportunities to go above and beyond for our customers. Sometimes challenges are really just opportunities in disguise—opportunities to grow, to serve others, to innovate. Here are a few recent challenges (opportunities) that our team has encountered. This year, from May 6 to the 10th, is National Construction Safety Week, where the entire construction industry takes time out of their schedule to focus on educating you and your team on how to stay safe on the job site. GPRS has played a part in Safety Week education moments for over ten years. We take our role in educating and supporting construction crews seriously. For the five days of National Construction Safety Week, GPRS is offering any construction team or excavation service a free hour with one of our utility scanning technicians. GPRS also offers CCTV sewer inspection camera systems, designed for all types of drain and sewer inspection surveys. Our team uses state of the art HD cameras and sewer inspection systems to view the interior of buried drain and sewer lines. We can check for depth, evaluate the condition of the sewer or drain line, and identify potential access points for your team. Ground Penetrating Radar Services has made our industry leading utility scanning and locating services even more convenient for contractors and construction crews on the go. With our new GPRS mobile app, you can request a quote or schedule a crew to come out with the click of a button, and know that we’ll be in touch in moments. Take our utility locating services with you wherever you go, and make sure that your team and your job site are protected from accidental utility strikes every time you dig. A key feature of the GPRS Training Program is the ability to gain hands-on experience, both in the field and in a simulated setting. At the GPRS Training Facility in our Ohio headquarters we have a state-of-the-art slab designed to mimic all conditions commonly found on sites. This ~1000 SF slab was designed especially to enable trainees to gain experience while in a classroom setting. The GPRS training process emphasizes the value of both field work and classroom learning. New hires have the opportunity to shadow experienced Project Managers in the field before spending two weeks at our Ohio headquarters learning the ins and outs of life at GPRS. The entire onboard training takes between two to three months, depending on a student’s demonstrated ability. SIM stands for Subsurface Investigation Methodology. SIM is a standard operating procedure comprised of two specifications created specifically for subsurface investigations- one for underground utility locating and one for concrete scanning. When penetrating the ground or concrete structures, there are many unknowns that could cause damage to people and equipment. From underground utilities and voids to the reinforcing steel and conduits in concrete, there are a number of potential problems you could encounter from the unknowns. Water lines can be made out of various types of material, not all of which are conductive. Traditional methods of utility locating are only able to pick up on conductive materials. This leaves PVC and other non-conductive materials beyond the scope of many utility locating services. Ground penetrating radar is capable of finding all types of material regardless of conductivity. This makes it an excellent choice for locating buried water lines. Natural gas is used for heating, hot water and cooking among other uses. Pipes carrying natural gas can range in size and material. Most piping used for natural gas lines is made of conductive material, making it more easily identifiable in a GPR scan. Sewer lines are a key utility but are often overlooked by public and even private utility locating services. Lines can be made of a variety of materials, depending on their age and location. The majority of sewer piping material is non-conductive- materials such as HDPE, PVC and even clay are all commonly used. Lines can be decades old, meaning that accurate plans and as-builts are often missing or non-existent. 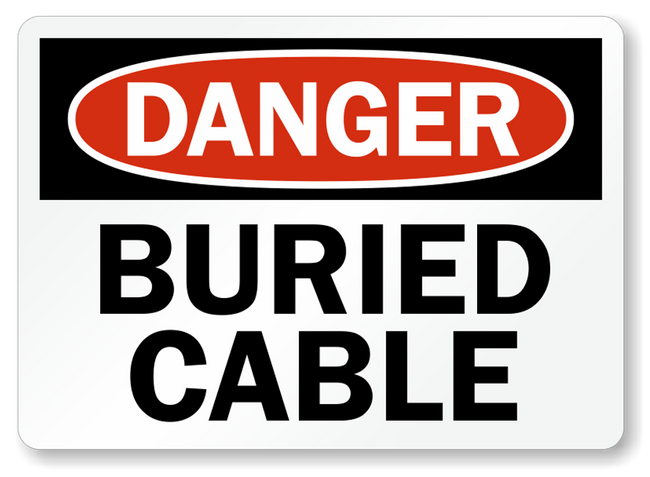 While the majority of electrical lines are found above ground in the United States, there is still a percentage of lines which have been buried below ground. These lines often run from a public box or meter on to private property. As a result they are out of the domain of public utility locating companies such as 811. Buried electrical lines may run alongside buried fiber and other cables, complicating the process of identifying them. What sets a GPRS Team Member apart? The key to GPRS’s success is our employees. Our team members are the best in the industry, and it is for this reason that we have been able to achieve such growth. Some of the key qualities which set our team members apart include: Integrity, competency, team work, continual growth, problem solving mindset and commitment to the customer. GPRS is the nation’s leading ground penetrating radar (GPR) service provider. As the largest GPR company in the U.S., we specialize in providing concrete scanning and utility locating services to identify unknown subsurface elements. Our Project Managers are extensively trained to handle all possible scenarios, making them experts in their field. With offices in all major hubs across the U.S., our team members can quickly mobilize to a site in order to identify any unknown subsurface elements impacting your project. Ground penetrating radar (GPR) is a key tool in detecting the location of underground utilities and other subsurface elements. GPR units contain at least one antenna which is moved over the ground surface being investigated. Several types of units of varying strengths may be used depending on the needs of the project in question. GPRS Project Managers will assess the site and make a determination as to which type of radar is the best fit for the job. Electromagnetic technology was discovered by famed British scientist Michael Faraday in 1831, in one of his presentations to the Royal Institute in London. He described not only the process of electromagnetic induction, but hypothesized its use as a measuring device. His paper would lay the groundwork for the first utility scanning and locating tools. Ground Penetrating Radar Services provides a full suite of electromagnetic scanning and locating services, designed to help provide your team with the most accurate real time scanning data possible. Our project managers are the best in the industry at scanning and locating subsurface utility lines and hazards. We provide information to help keep your team safe and keep you from spending on unnecessary repairs. GPRS utilizes state of the art technology for all of our private utility locating and concrete scanning needs. Our equipment is the best in the industry, and our utility locating technicians receive continuous training and education on new tools and techniques for subsurface scanning and private utility locating. We’ve highlighted some of our preferred tools for subsurface scanning and private utility locating below. When performing digging and other excavation work it is more common than you would think to encounter utilities buried underground. Public utility providers offer a free “call before you dig” service in which a trained technician visits a site to identify and mark out the locations of public underground utilities. These services are a valuable tool in locating and avoiding hitting public underground utilities. Performing work on existing concrete is often a necessary part of construction. Coring, drilling and cutting are just a few of the techniques which are used on concrete slabs and walls. This concrete can contain rebar, conduit, post tension cables and other materials, with the potential to cause major damage if hit. GPR uses an electromagnetic pulse to generate data on a computer screen, which can be studied in the field to understand existing subsurface conditions. It was this SIR 2000 and long hours working out of that basement which started the nationally recognized brand of GPRS, LLC. Flash forward to 2019. GPRS’ focus has still been to continue finding and utilizing the industries newest and most advanced equipment to locate subsurface concerns. Concrete scanning is the use of ground penetrating radar and other equipment to detect materials or voids within a concrete slab. Ground penetrating radar (GPR) is a non-destructive detection and imaging method which can be used to identify subsurface elements either underground or within a surface such as concrete. An environmental company in Newport News, Virginia hired GPRS to assist at the site of a former gas station to locate unknown subsurface utilities prior to constructing a new structure on the site.